‘Hair Loss’ is a term used to describe many different types of problems with the hair. There is a significant difference between hair thinning and hair loss which is commonly misinterpreted. Hair Loss is the falling or loss of hair abnormal to that experienced from the normal daily cycle of hair loss. When this occurs you will experience double the amount of hairs falling on a daily basis but may not be noticed until you wash your hair. We should lose between 70 – 160 hairs per day every day, but when you are experiencing hair loss, this will be double or appear to be more if you only wash your hair once or twice a week. Diffuse hair loss can expose the underlying slowly progressing pattern thinning to lead many to ‘think’ that the pattern thinning is the hair loss. When the hair cycle is understood and examined with a microscope by a qualified practitioner such as a Trichologist, it is clear to see the diffuse hair loss is the main concern, which has exposed the pattern thinning. Because many modern hair loss treatments focus on DHT without understanding the hair cycle and diffuse hair loss, it can be seen why the singular hair loss treatments deliver minimal and short term results. What is needed is New Hair Loss Treatments for Hair Loss focused on The Hair Cycle. 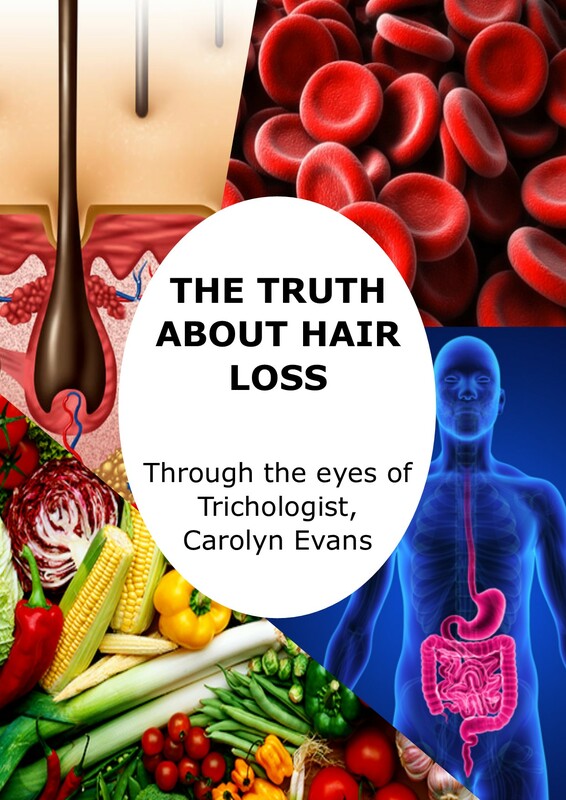 As a practicing Trichologist at Absolique I spend my days diagnosing and explaining the difference between hair loss and hair thinning and how both problems have very different causes and also require Combination Therapy Hair Loss Treatments for the best results. 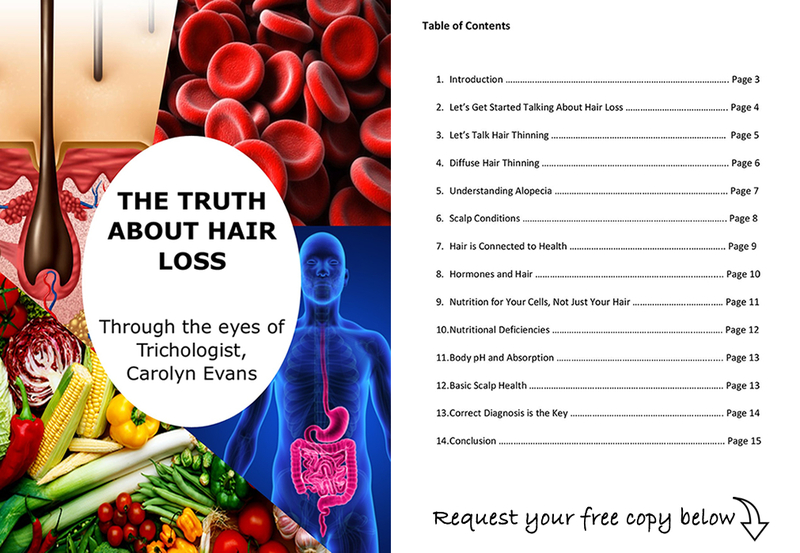 Diffuse hair loss does not trigger DHT however if the underlying causes are there; hereditary, hormonal and environmental exposure, the cell that may be weak say from iron deficiency, imbalanced thyroid, nutritional deficiencies and other health concerns, can allow the DHT to build up quicker in the Pattern Thinning area than it usually would. This can be seen and addressed by visiting Absolique Hair Health Clinic for a Hair Health Check service that will set you on a path of recovery from diffuse hair loss, address Pattern Thinning and long term hair health. Remember, DHT does not cause hair loss…ever!